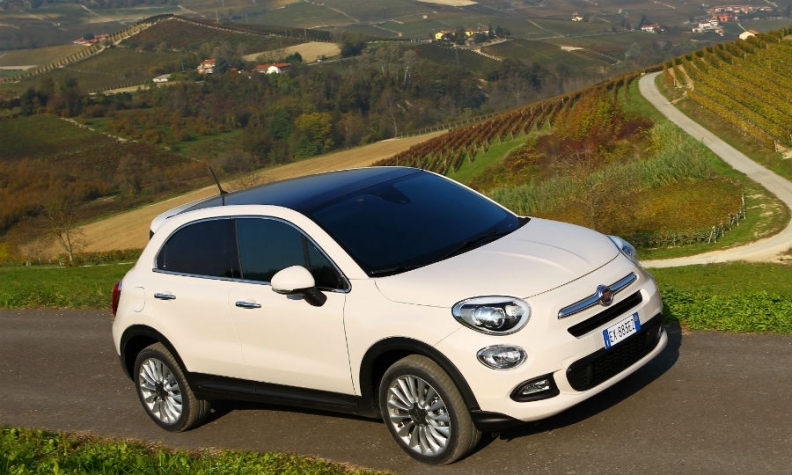 Fiat 500X's diesel version has excessive emissions, green campaigners claim. BERLIN -- As Germany tries to exert more authority over the widening auto industry emissions scandal that began with Volkswagen Group, it's finding not all carmakers are so keen to cooperate. Fiat Chrysler Automobiles snubbed the German Transport Ministry's efforts to question the automaker and in doing so won the backing of Italian authorities. The dispute came to a head Thursday when Fiat refused to attend a meeting with German Transport Minister Alexander Dobrindt to discuss emissions and his Italian counterpart told Dobrindt to essentially leave Fiat alone. The Italian transport ministry said Fiat is cooperating with them. "Fiat, whose models are all certified in Italy, is fully available to give to our authority all the information needed about its emission testing policy," Italian Transport Minister Graziano Delrio wrote in a letter to Dobrint. "We should start an official dialog between our authorities on emissions as required by European rules, rather than continuing to discuss directly with the manufacturer." Dobrindt criticized Fiat for not showing up for Thursday's meeting. "This uncooperative behavior of Fiat is completely incomprehensible," the minister said, adding there were concrete allegations about irregular emissions of Fiat cars. An investigating committee of the ministry has doubts on whether Fiat is meeting all requirements of type-approval legislation for its vehicles, he said. "It would be appropriate if Fiat would take a stand on this in front of the investigating committee," Dobrindt said. The German KBA motor transport authority will now send documentation with measurement results to its Italian counterpart. "The Italian authorities must consider whether the rules have been respected," Dobrindt said. European Union rules give national governments responsibility for type-approving new vehicles before they can go on sale. A type approval in one EU country is valid throughout the 28-nation bloc. Fiat is among several carmakers that are currently under scrutiny for emission levels. The German environmental lobby group DUH claims that the Fiat 500X 2.0-liter diesel variant has NOx emissions far above legal norms. On Wednesday, Dobrindt said that General Motors' Opel division admitted that its Zafira minivan includes engine software that switches off exhaust treatment systems under certain circumstances. A German investigating committee that met Opel officials asked them to provide it with more information to help with their investigations into emissions. Opel issued a further statement today saying that its engine control systems comply with regulations and it does not use "defeat" software. Opel said concerns raised by politicians and green groups are based on "misleading oversimplifications and misinterpretations" of how emissions control systems work. The auto industry’s credibility has been strained following Volkswagen's September admission that it rigged diesel-engine software to pass official tests, prompting Germany to set up the commission. However, the allegations against Fiat and Opel are distinct from the scandal involving Volkswagen, which concerned the rigging of exhaust emissions tests as opposed to exhaust treatment systems being shut down under certain conditions. Dobrindt said he wants to change European rules that "allow carmakers to hide behind the argument they are protecting their engines" instead of forcing them to upgrade them to comply with state-of-the-art technology. The Brussels-based lobby group Transport & Environment has called for the EU to set up a single, independent authority to test vehicles in the bloc similar to the U.S. government's Environmental Protection Agency, funded by a levy from vehicle sales. The current spat between Italy and Germany is the latest in a number of public disputes between Fiat Chrysler CEO Sergio Marchionne and the German auto industry. Marchionne had a showdown four years ago with then-VW CEO Martin Winterkorn -- who had to resign in 2015 over the emissions scandal -- during the Paris auto show.